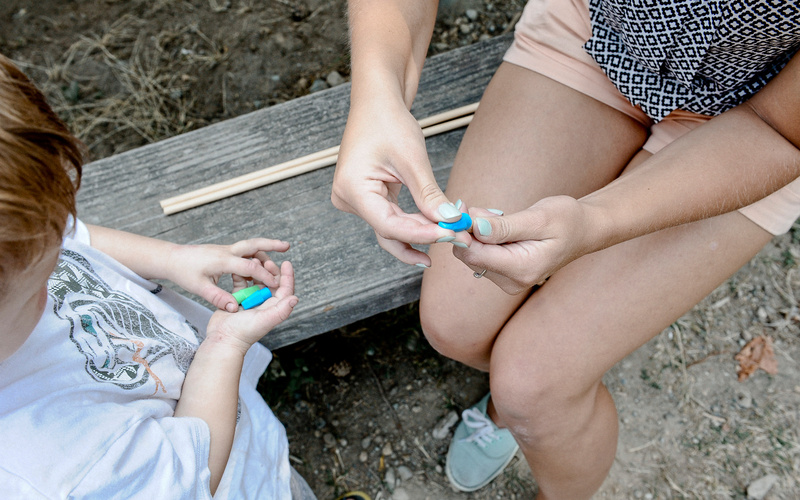 Back to school is right around the corner, but there are still a few more weeks to take advantage of outdoor summertime activities. 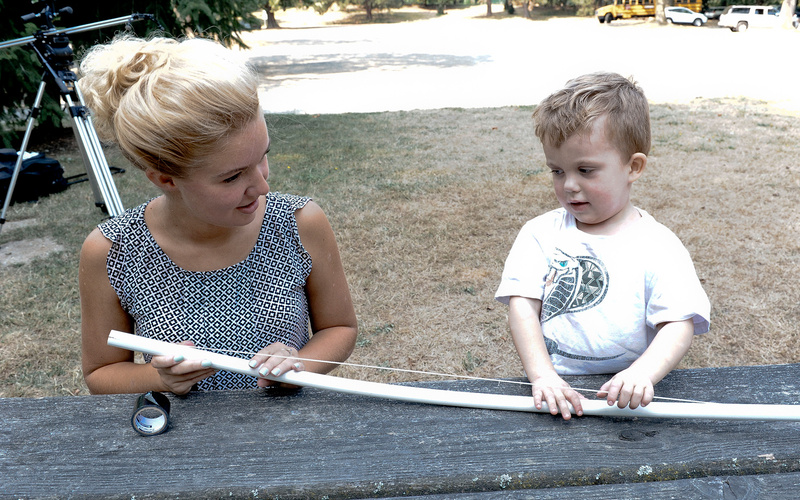 This PVC pipe bow and arrow is cheap, simple, and fun! 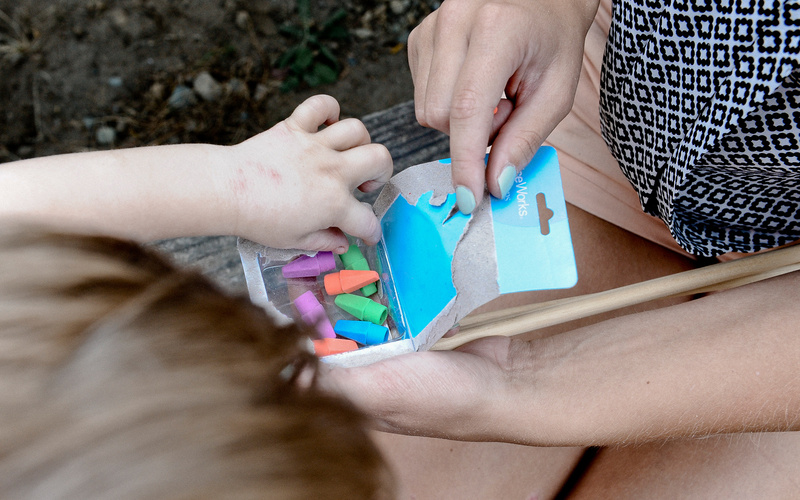 It's also great practice for little hands and fine motor skills! This project was inspired by Nothing But Country’s blog. 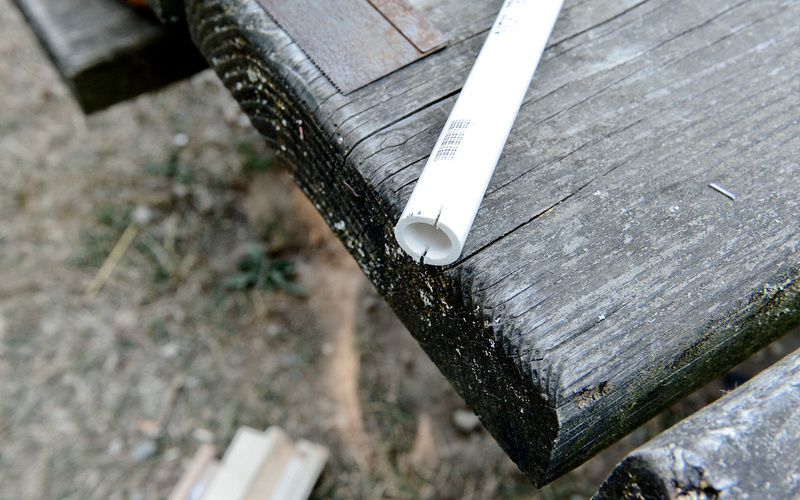 With your hacksaw, cut into the end of the PVC about half an inch. Repeat on other end. Tie a knot (big enough to not slip through the slot in the pipe) in the end of the nylon string. 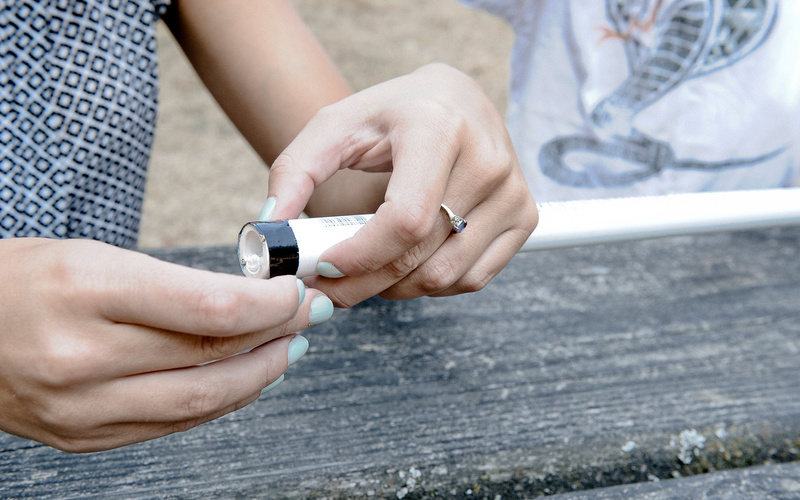 Using your lighter, burn the ends of the string to prevent fraying. 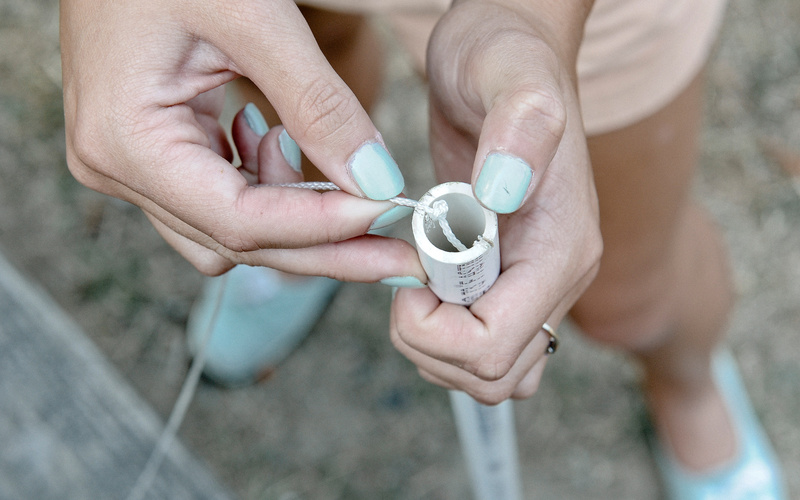 Cut your string at about 36” (or 5" to 6" inches from the end) and tie another knot. 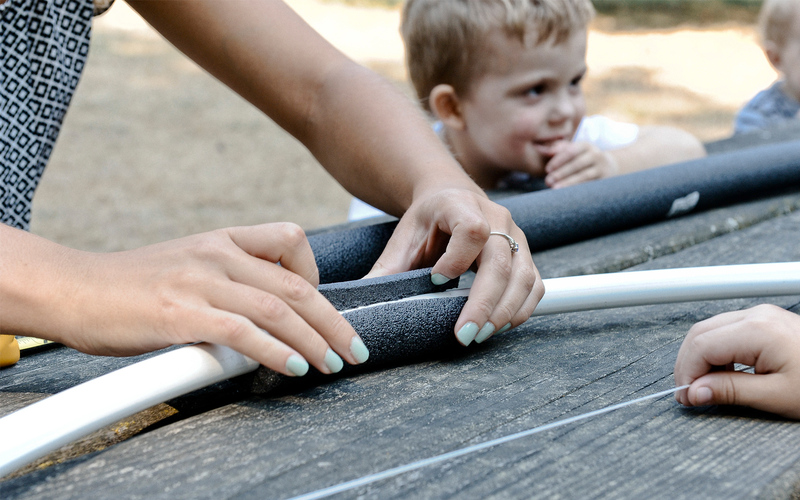 Slide the knot inside the slot at one end of the PVC. 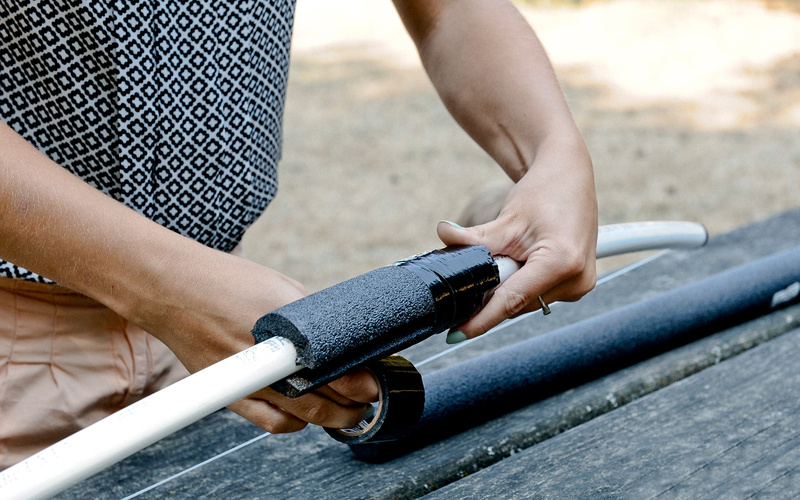 Bending the PVC with your foot slide the other knot into the opposite end of the pipe. If your PVC does not bend to the arc desired, slip out the knot, tie it a little closer, and try again. 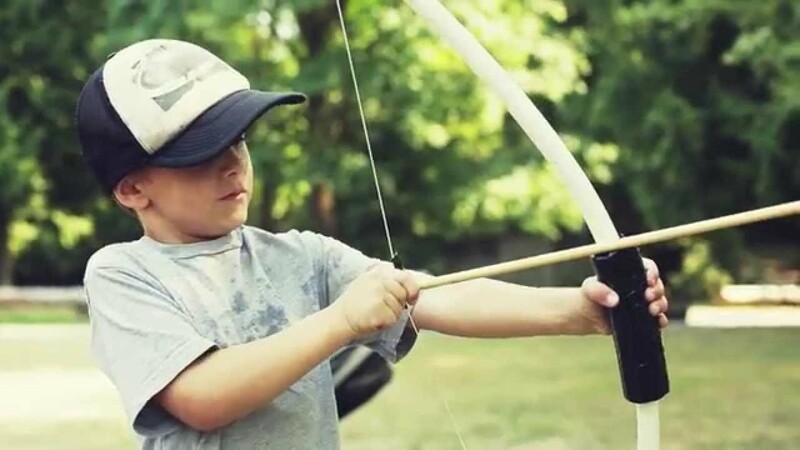 Rip off a thin strip of tape and wrap it around the top and bottom of your bow to secure the string in place. You’re almost done! 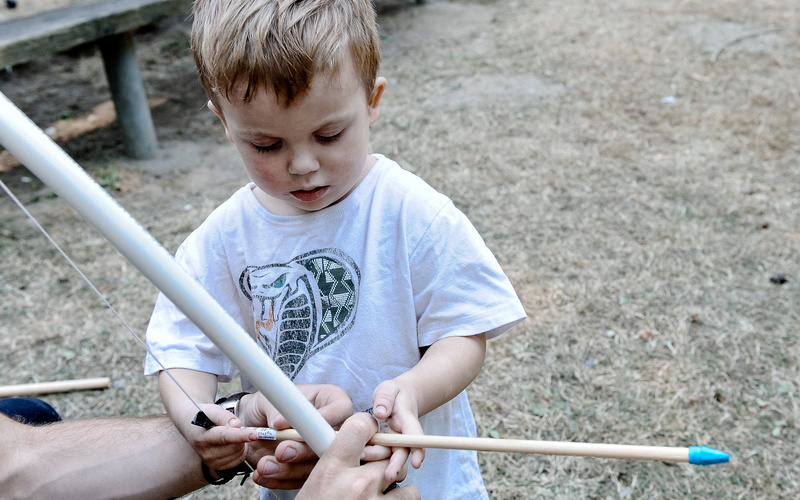 Cut the foam pipe insulation to a length of six inches with a pair of scissors. There’s a part running along one side of the insulation. Rip the part open and wrap the insulation around the middle of the bow. 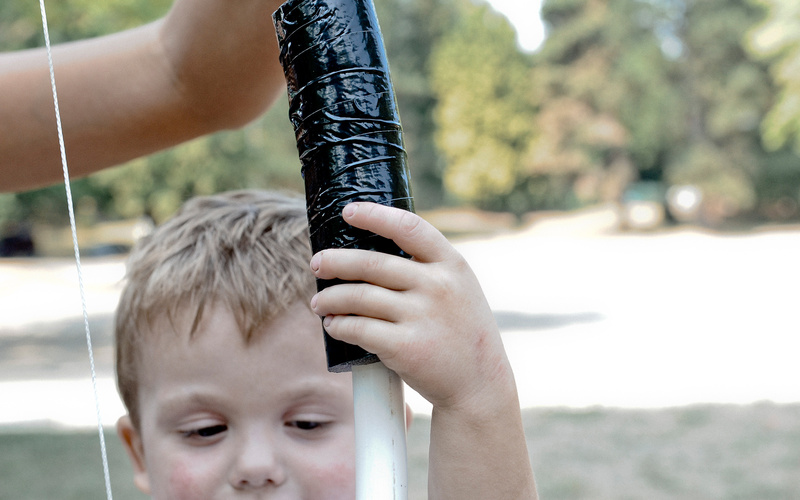 Secure with duct tape. 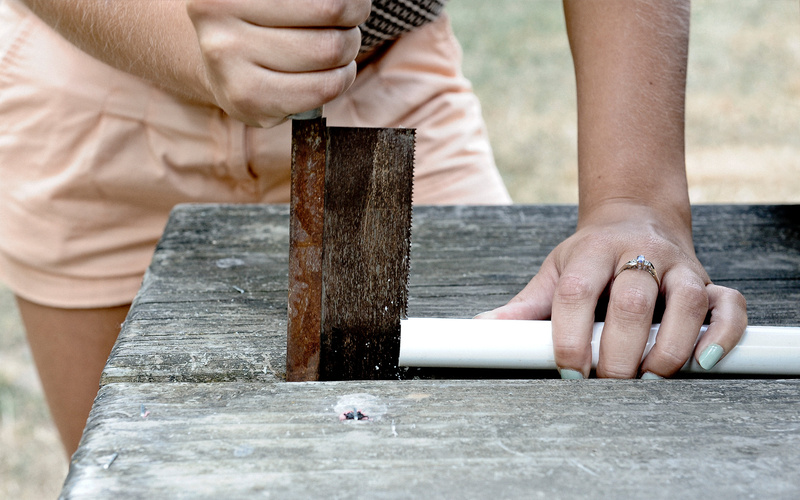 Cut your dowel into 16” pieces with the hacksaw. 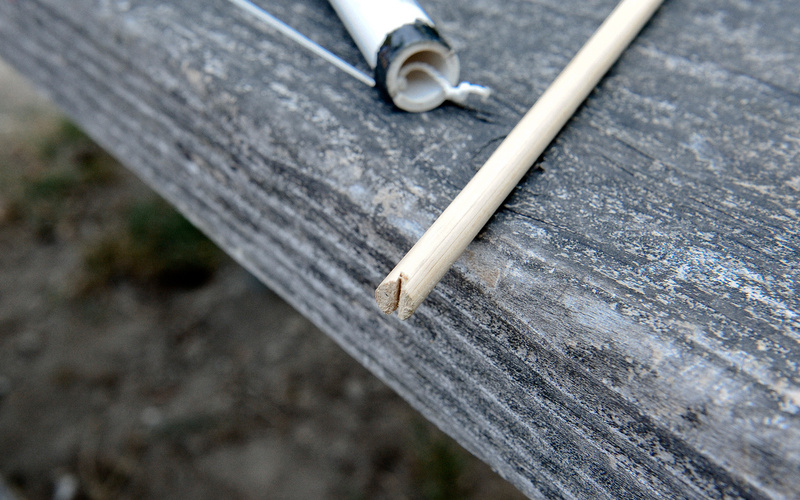 In one end cut a shallow groove for where it connects with the string on the bow. On the other end put an eraser cap. This will take a little bit of wiggling, but trust me, it will fit. 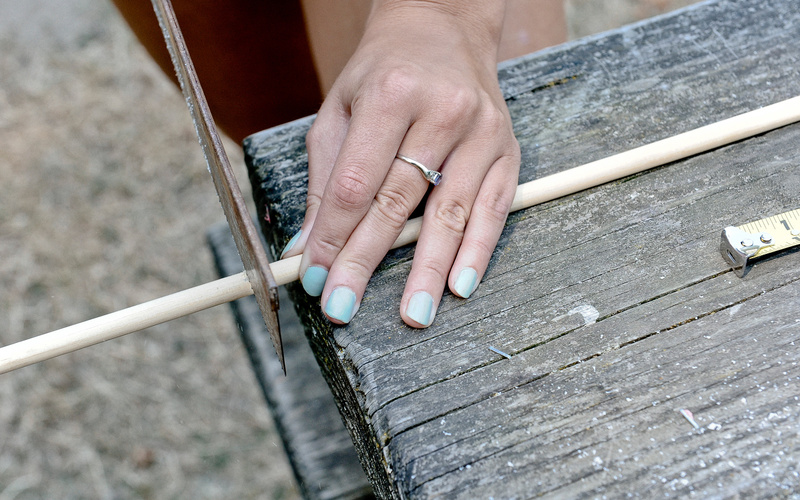 And there you have three rubber-tipped arrows! 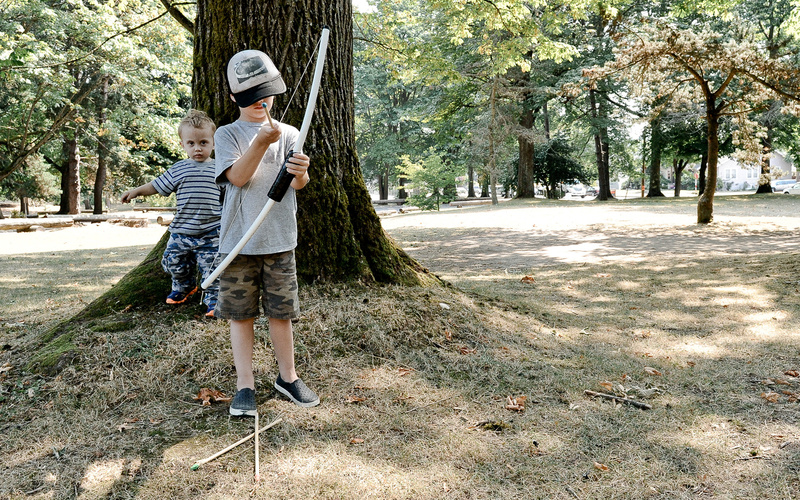 Because our helpers are only three and six, we helped them out by taping a little indicator for where the back of the arrow should fit into the string. When doing DIY projects it's important to have the right tools. 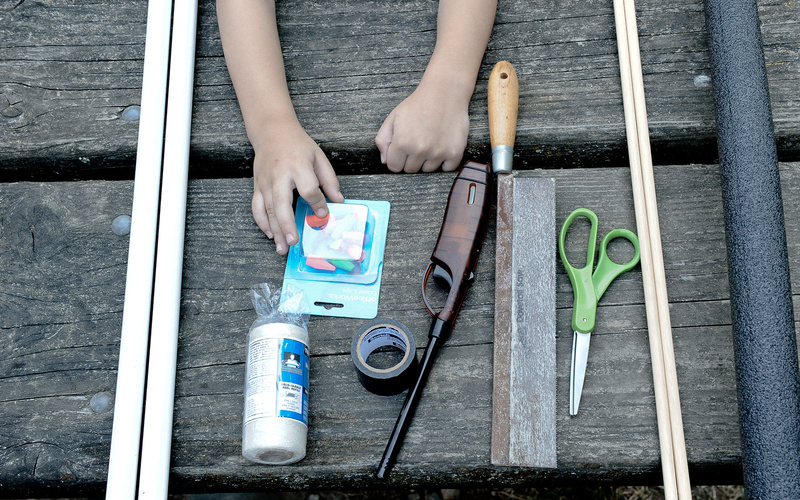 It's also important to know how to use those tools. 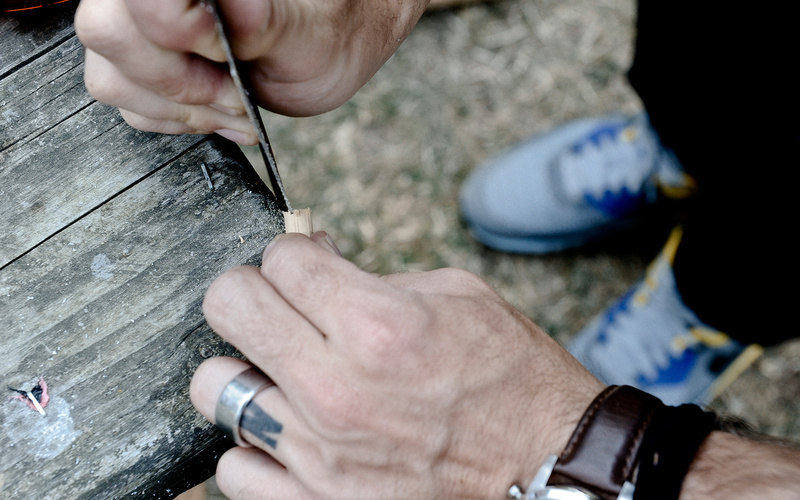 We teamed up with Jacob from Dunn Lumber Kirkland to bring you a few tutorials to add to your DIY tool belt. 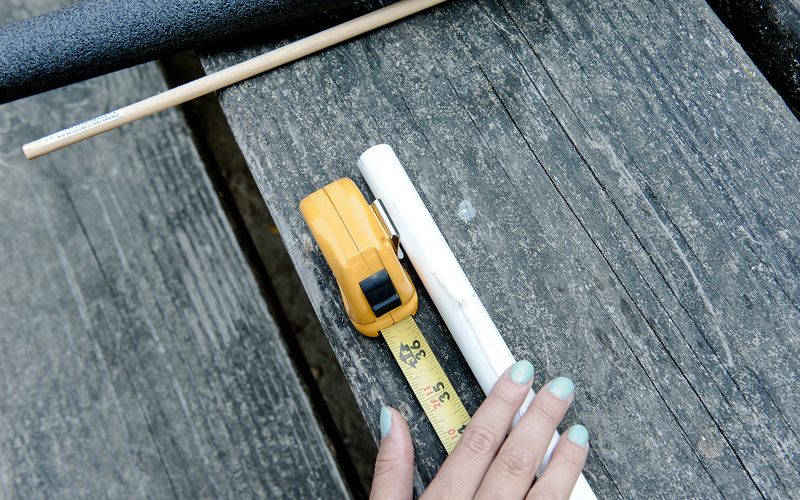 In this post we'll cover how to use a tape measure.